Stanley Moss, CEO of The Medinge Group and founder and principal of Diganzi Group, came to Uffindell to talk about Branding 1.1 – The Future of Brands. 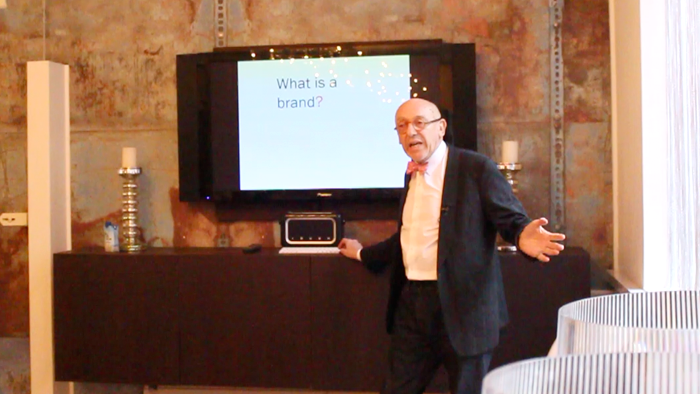 Stanley gave an insightful, thought provoking and highly amusing presentation on the evolution of branding over time. From the early people and place brands of cave drawings and the pyramids to the crowded, consumer driven brand market we see today. Stanley was kind enough to let us film his talk and we will be uploading it soon. Uffindell would like to thank Stanley for taking the time to speak at Catalyst Club.